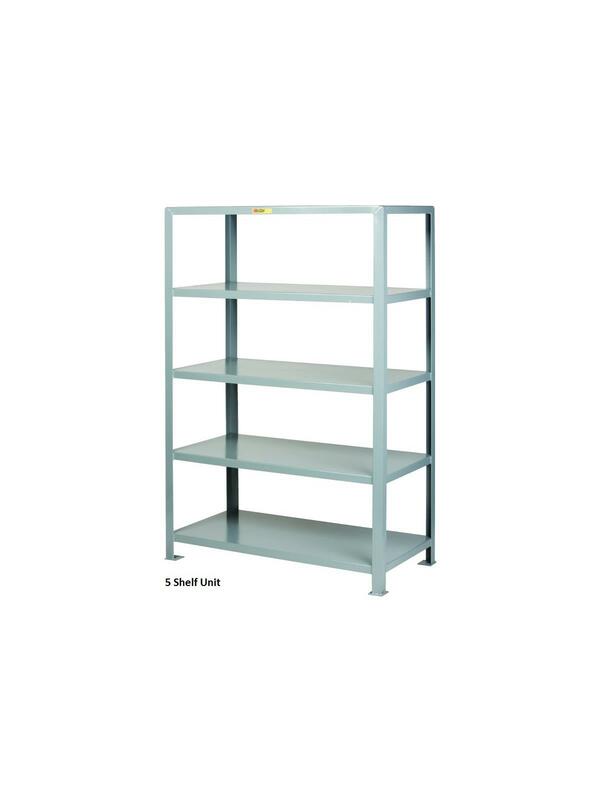 All-Welded Heavy-Duty Steel Shelving | The Rembert Company Inc.
Reinforced 12 gauge steel shelves have a 2,000 lb. 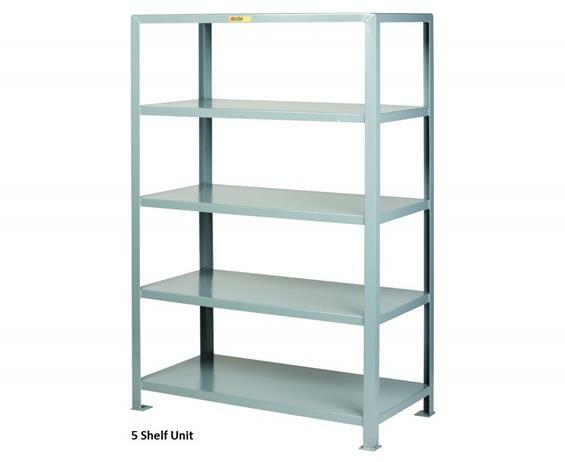 capacity per shelf. 2" x 2" x 3/16" corner angles have footpads with anchor. 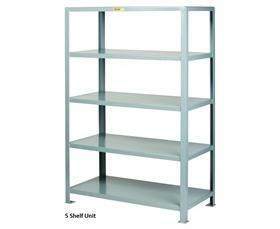 72" overall height with 3-1/2" bottom shelf underclearance. Ships set up and ready for immediate use. FOB Shipping Point.